When the school bell rings at 7:30 each morning, you’ll find Grant Summers in his seat, ready for another day of class. He is the typical middle school tween: he enjoys school, sports and hanging out with his friends. With such a busy life, you wouldn’t know the 12-year-old has a rare disease. It was on Mother’s Day in 2010 when elementary school teacher Amanda Summers received shocking news. The Troy School District teacher learned her 4-year-old son had atypical hemolytic uremic syndrome, or aHUS. The National Organization for Rare Disorders describes aHUS as an extremely rare genetic disease that can damage vital organs and potentially lead to kidney failure, stroke, heart attack and death. The body attacks its healthy cells, causing blood clots that reduce or prevent blood flow to various organs of the body, especially the kidneys. The condition has flu-like symptoms that can include sore throat, fatigue, vomiting and nausea. Grant would be hospitalized twice: once at age 4, and again at 6. He began receiving infusions of Soliris at age 8. In the beginning, Grant went to a medical center for infusion therapy every two weeks. A typical morning on the day of an infusion would begin with the family getting up before dawn. Grant would then hit the road with either his parents or his grandfather to make the 40-mile, rush-hour commute from their Clarkston home to a Detroit hospital for his 8 a.m. appointment. At the hospital, the family would have to wait for the infusion medication to arrive from the pharmacy, and another medication to take effect, before the infusion could begin. It would be late morning when the infusion was complete, and Grant would finally be dropped off at school at noon. The family maintained this schedule until last summer, when Grant was approved for infusion therapy in the comfort of his home. “He can sleep, or he can do his homework,” his mother says. Summers is no longer worried about her son missing school to make the trip to the hospital for his infusions. Grant receives treatment once every four weeks at home. Infusions are done in the late afternoon when the school day is nearly finished, so he doesn’t miss too much. When Grant arrives home from school on the day of his infusion, he changes into comfortable clothes, grabs his cell phone or the TV remote, and stretches out on the couch with his beloved dog, Stella. Because the bulk of his care happens at home, Grant can lead a normal life — just slowing down one day a month to receive his treatment. He says he’s happy, comfortable and connected to familiar surroundings. “I feel a lot better,” Grant says. He’s looking forward to warmer weather and playing baseball, football and basketball. MESSA covers Grant’s home infusion therapy, for which Summers says she’s grateful. 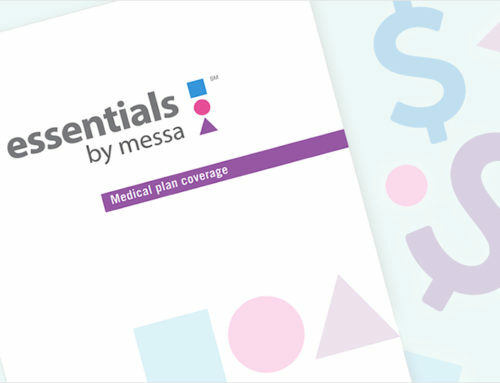 If you or a dependent receives infusion therapy in a hospital setting and are interested in trying home infusion instead, call MESSA at 800.336.0013 for more information.